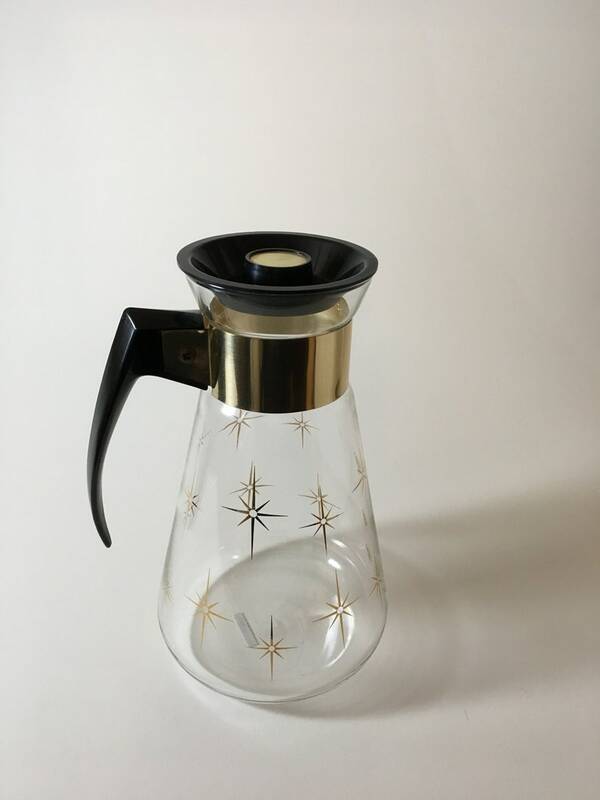 Vintage coffee carafe with gold diamond pattern, by Corning. 8 cup carafe measures approx. 8.5" tall.